Peace of mind starts right here, right now. Only FloLogic automatically detects and immediately stops leaks as small as .5 oz. per minute (that’s about a tablespoon). Other devices require 16 oz. to 32 oz. to begin real-time detection (that’s up to 360 gallons in a single day!). 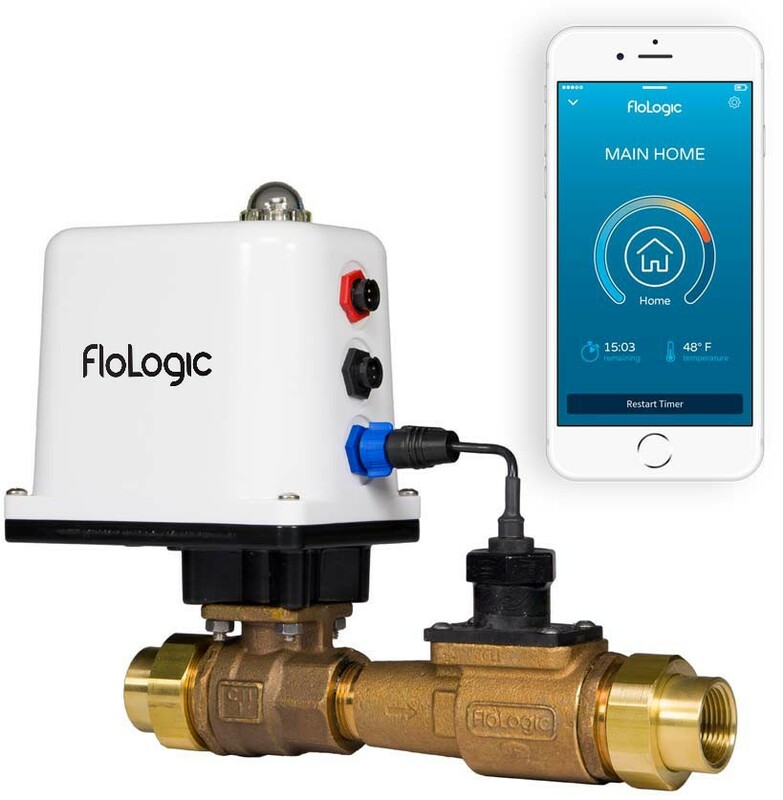 Only FloLogic communicates with automated water use devices, creating a true smart plumbing ecosystem. The app-based system sends real-time alerts and gives you control over the entire system. Only FloLogic provides exceptional installation flexibility in multiple sizes and configurations, so it works in your home. 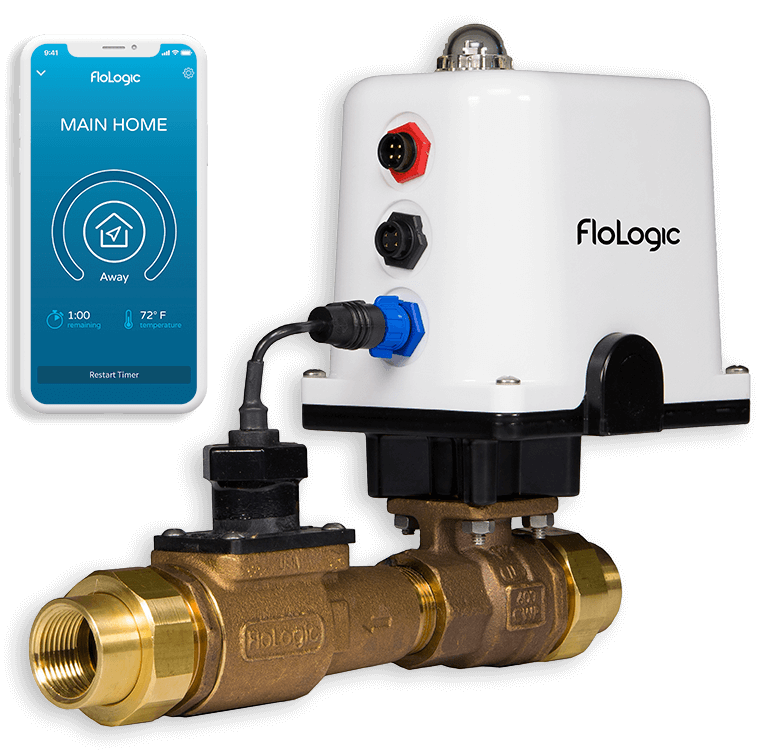 Only FloLogic is built in the US from cast bronze, with temperature sensor, battery back up and a best-in-the-business 5-year warranty. Mark Baker bought FloLogic. He’s glad he did. What water damage scenario scares you the most? Do you have questions about FloLogic? Email us and we’ll tell you how FloLogic provides superior solutions for your property.